Jackie Fo: Charlotte Trolley pictures are finally here! Finally! 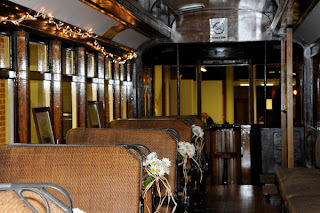 The Trolley Low Country Bash pics are ready! Remember when I previewed the event a few weeks ago? There are tons of great pictures, courtesy of Jim Lockman, so settle in with mason jar full of sweet tea and enjoy the low country bash! I knew I had to have red and white checked tablecloths and Mason jars brimming with daisies. Mission complete! At each place there was a mini moon pie to take home as well. Thanks to the moonpie folks for donating 300 mini moonpies!!! I love the trolley in the back of this picture. The trolley used to run on the streets of Charlotte back in the day! It's such a fun attribute to the museum space as you can go inside the trolley. More on that later. I knew I needed hay bales for this event. But seeing as I don't know any farmers, I wasn't quite sure where to get them. Lowes came to the rescue! So I shoved 3 huge bales in the back of my car and was on my way. HUGE MISTAKE BTW - Hay gets everywhere and I will be finding it in my car until the day it dies. Should have had a pick up truck, right?! Anyways, I created a hay display using the hay bales, flowers and fabulous country signs I found at Old Time Pottery. Check it out! Note all the hay on the floor - that was done on purpose! I had some little girls helping me with this task, they loved making a mess on purpose! I even found mini hay bales that I used to stick the menu in. They looked adorable with the gingham ribbon! Time to go inside the Trolley! As I mentioned earlier, the vintage trolley in the museum is a really cool piece of history. 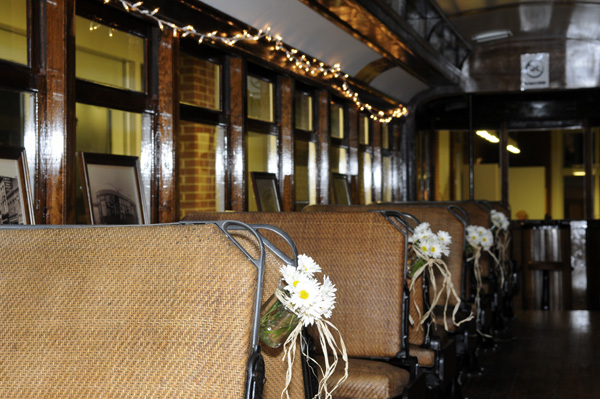 The seats are the original wicker, and there are vintage trolley pictures lining the windows. To decorate, I used string lights to brighten up the dark wood. 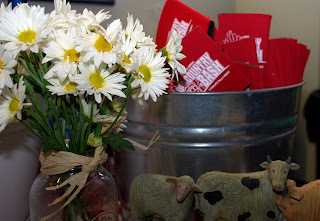 Between the seats, I created hanging vases using metal wire, jars and daisies! This was my favorite part of the whole event decor! In addition to the traditional low country boil, the food consisted of fried green tomatoes, spicy black bean salsa and homemade banana pudding. It was all delicious! 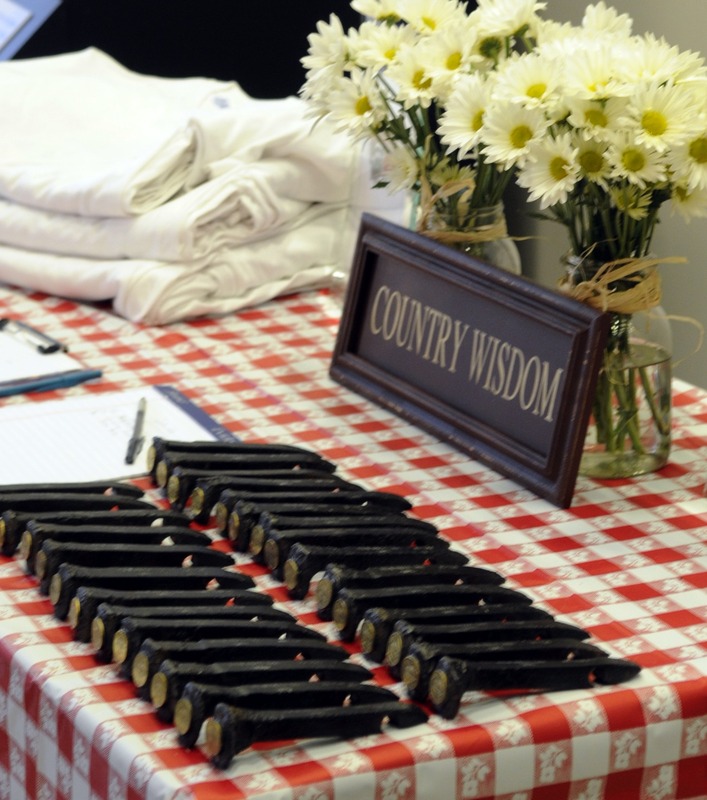 The low country boil was prepared right out side on the patio, which added to the authenticity of the event. 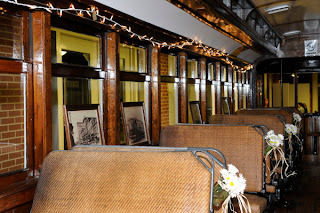 I used burlap to decorate the historic benches. 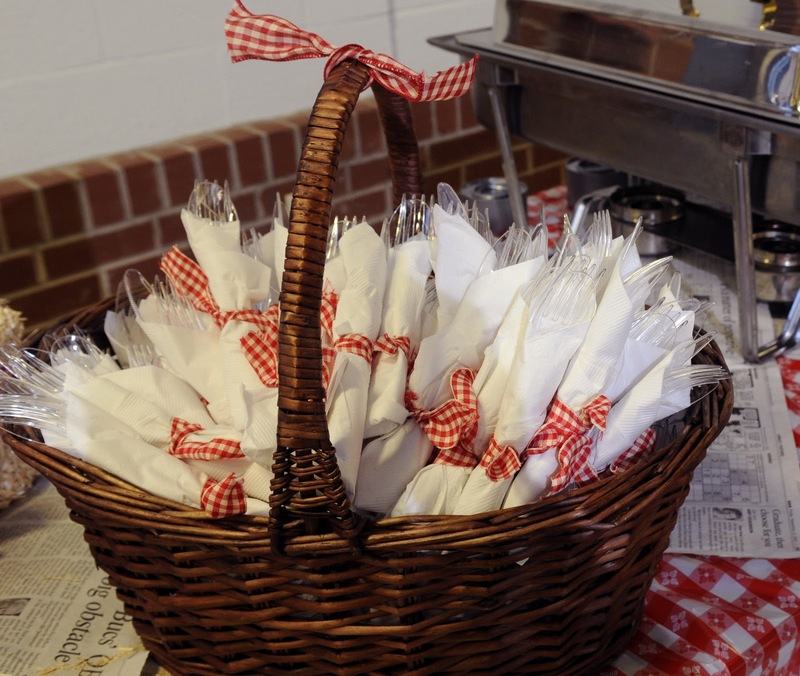 Tied napkins with gingham ribbon and placed them in a picnic basket. We had low country bash koozies made to give away! I tied burlap and gingham around a wreath form to make this wreath. T-shirts and spikes were sold at this table. "Spikes" are original trolley track spikes dating to 1891. The cool part? They were turned into bottle openers! You can purchase the spikes HERE. 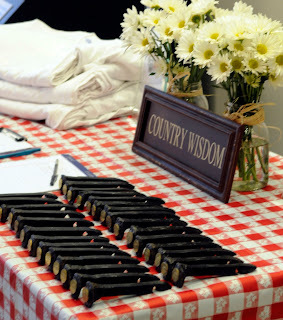 Check out that sign too, "Country Wisdom." Love it! The live bluegrass was provided by the band, Easy Pickins. These guys rocked! My friend Ginger was on the event team, and borrowed her dad's ol' pickup to park in front of the museum to greet the guests. Yee-haw! This event was so much fun to plan, and best of all, it supports a great organization, Charlotte Trolley, Inc. Check out their site to see what they're all about. Also, for Charlotte folks, the Trolley Museum is a great and reasonably priced space for events with under 200 people. It's unique, modern and easy to work in. Contact me if you are interested in renting the space for your next Charlotte event. I will put you in touch with the right folks! Congrats on such a beautiful and successful event! I love all of the details and the spikes/bottle openers are such a neat idea! Oh my gosh! That looked so amazing! I love it all! WOW you did such a fantastic job! Everything looks great. I love that you made sure to spread hay on the floor and the flowers on the side of the seats in the trolley are a fabulous detail. Great Job Jackie! 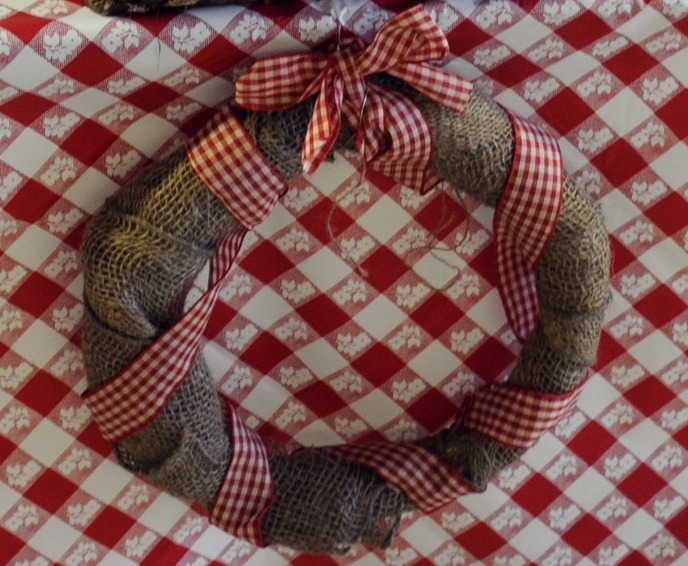 Everything looks great...love the gingham and burlap! 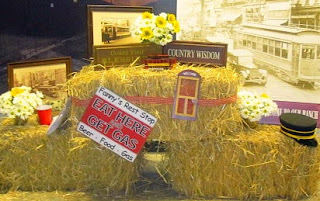 the hay display looked amazing too. I'm a little late to the dance here, but wow, glad I stumbled upon these photos! Amazing. At TNT Crane hoisted an old retired rail car caboose onto someones property for them. It was pretty stellar. Thanks again for sharing.